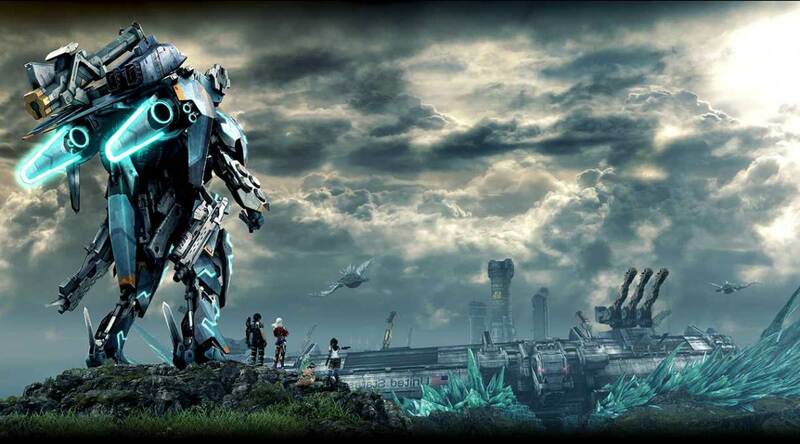 Is Xenoblade Chronicles X Worth Playing? Find out in this quick look! It's the year 2054 after humanity has evacuated a dying Earth. Survivors have erected a new home on the world of Mira, struggling to adapt to their new surroundings among both friendly and hostile alien life. Welcome to Xenoblade Chronicles X, one of the largest traditional Japanese RPGs on the Wii U.
Mira is sprawling and at times overwhelming, with dozens of hours revealing only a third of what the game has to offer. Whether you're gathering treasure, fighting enemies, or uncovering new secrets, you're always kept busy. Because of the amount of content, however, there can be some issues with slowdown and pacing issues in some areas. Luckily a colorful cast and intricate combat system keep your attention as you take on the enormous world. Your party is your lifeblood, and features like "Soul Voice, the Overclocking Gear, and the Soul Challenge mechanics are intriguingly deep equipment and leveling systems. The Soul Voice element relies heavily on communication, with allies suggesting which technique to use, and using it can trigger buffs and healing magic for the entire party. Similarly, Soul Challenge increases the damage incurred against your enemies as well as other boons. These ideas as well as the larger-than-life mechanical "Skellys" elevate otherwise pedestrian gameplay into something much more compelling. The staggering amount of real estate to work with as well as an intricate combat system, engaging narrative, and number of things to do blow many of those seen in other traditional RPGs out of the water. Xenoblade Chronicles X is a smashing success in spite of its somewhat dated graphics and sometimes awkward pacing, and will likely be remembered as one of the Wii U's truest system sellers.